We know you’re helping us Spread the Word and entering to win our giveaway! Well, to help you out, we’ve created a couple of downloadable resources. Many of you have probably converted to the new Facebook Timeline profile…and you’re probably trying to find a great cover photo, right?! We’ve got one for you! 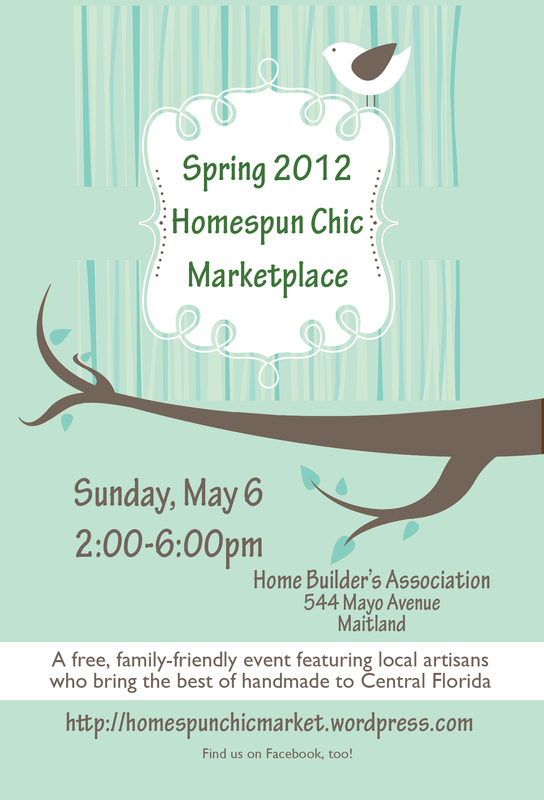 Use our Facebook Timeline cover photo image to let your friends know that you’ll be shopping at Homespun Chic Marketplace on May 6! After you make the below image your cover photo, come leave a comment on the giveaway blog post letting us know and you’ll get another chance to win the $20 gift certificate for the show! Save image on your computer as a jpeg. We’ve created a couple of printable posters for the upcoming event. Feel free to print these and post them all over town. Think…libraries, craft stores, restaurants, coffee shops, churches, schools, ice cream shops, bakeries, gyms, YMCAs, places you frequent, places kids and moms frequent, etc, etc, etc. Let’s have these showing up all over Central Florida! Write a blog post about the Marketplace. Include important info: times, dates, place. Include a link to either our Facebook Fan Page or our Website. Using random.org, we’ll select two winners on Saturday, May 5 from all of the comments on this post. You will be notified via email. We’ll also announce the winner on Facebook. 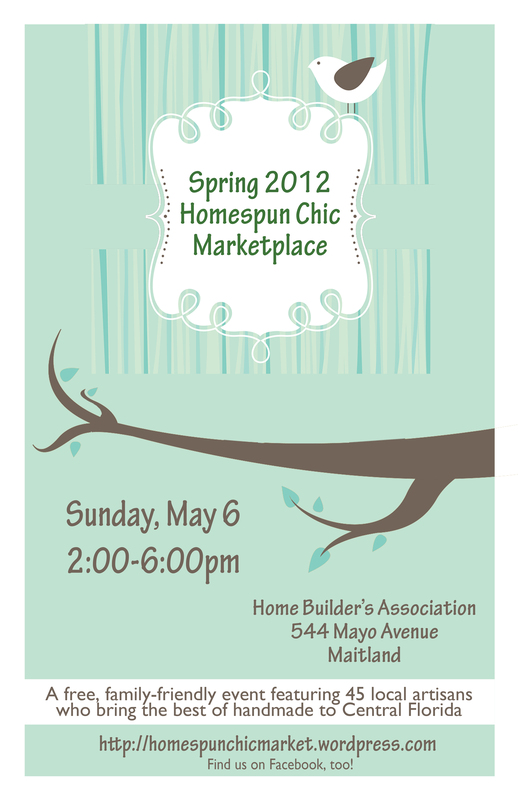 Alright…2012 is here and it’s time to get ready for a Spring Marketplace! 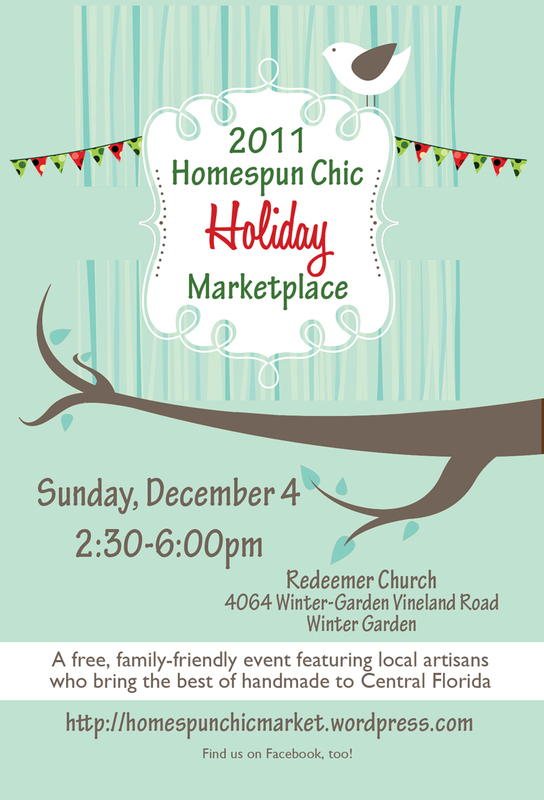 The 2012 Spring Homespun Chic Marketplace will include approximately 45 vendors and feature the best handmade retail that Central Florida has to offer. 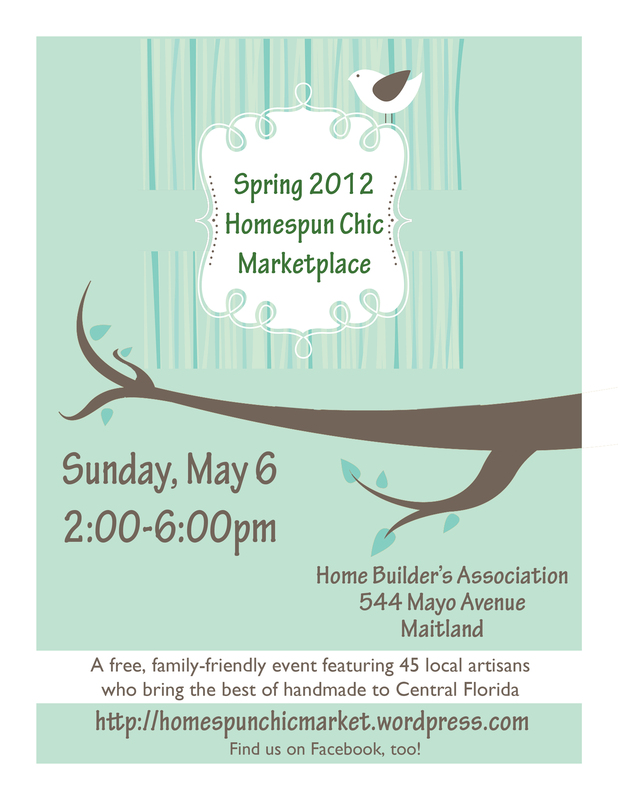 The event will be held on Sunday, May 6 from 2:00pm to 6:00pm at Home Builders Association of Metro Orlando in Maitland. The Marketplace will be held rain or shine. 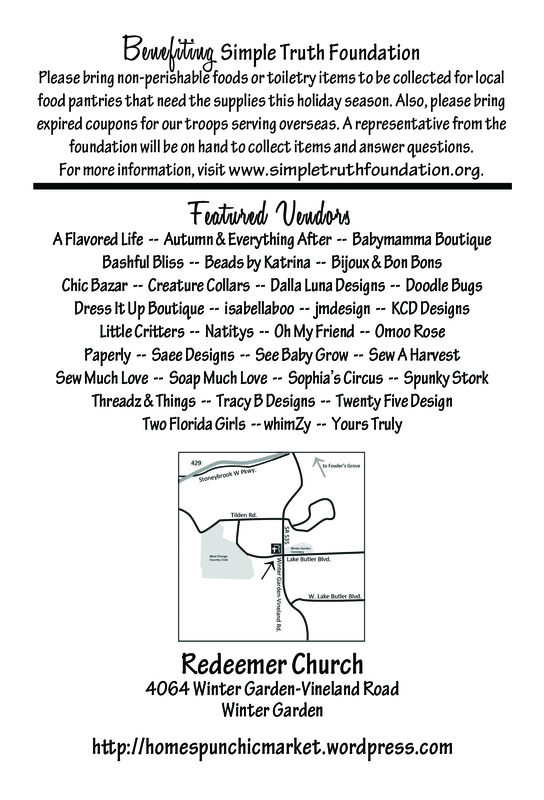 If you’re interested in being a vendor, please contact us or leave a comment here with your email address. We’ll be happy to email you the details, instructions, etc as well as a layout of the building and porch. As spots are paid for, approved and taken, we will designate that appropriately on the map. Previous vendors will benefit from a lower rate for space. New vendors will pay a higher rate for their first show with us and will also need to submit 3 photos of their work to a review panel. All reservations will be considered in the order they are received–first applied, first approved, first paid. Although previous vendors will not need to be considered by the review panel, they will not receive preference over new vendors. Space will be filled on a first applied, first approved, first paid basis. Once again, we’ll offer a way for folks to win gift certificates to be spent at the Marketplace. Details will be posted right here on our site. We are working to secure two or three of Central Florida’s popular food trucks to sell yummy treats just outside the venue. We’ll announce those as they confirm with us. If you have any questions, comments or concerns, please let us know! Feel free to share this with other handmade artisans that you know. We’re looking forward to partnering with you to bring the best of handmade retail to Central Florida through Homespun Chic Marketplace! Feel free to print this for Sunday. We’ll also have them available for you at the Marketplace. 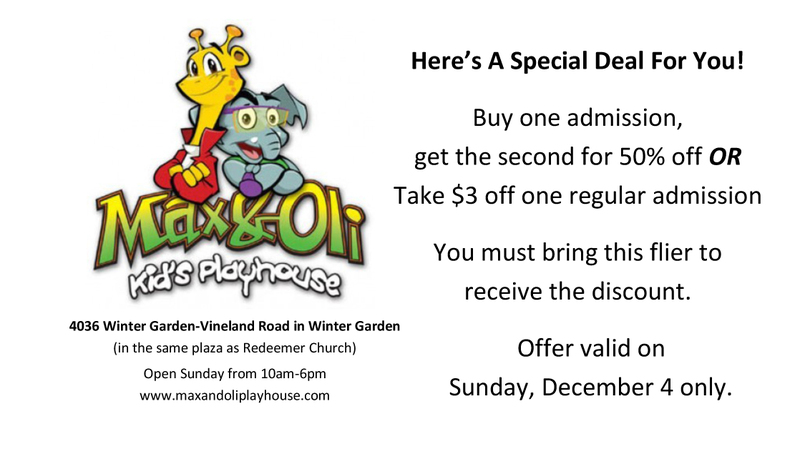 Check out Max & Oli’s website for more information about what they have to offer. 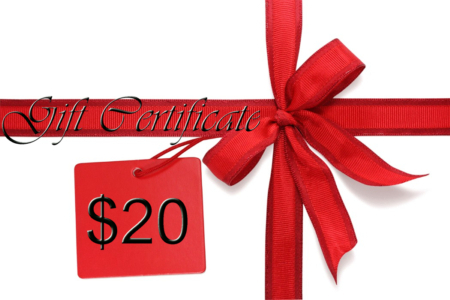 Enter to win a $20 gift certificate to be used with any vendor at the Marketplace.